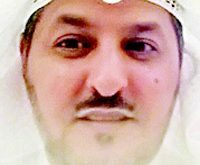 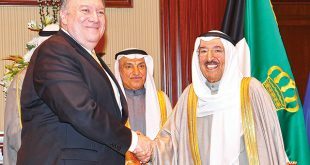 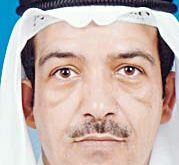 KUWAIT CITY, March 18, (KUNA): Kuwaiti Deputy Foreign Minister Khaled Al-Jarallah said on Monday US Secretary of State Mike Pompeo’s visit to Kuwait on Tuesday will be a “significant occasion and chance for signing several deals between both friendly countries in defense, security and customs cooperation”. 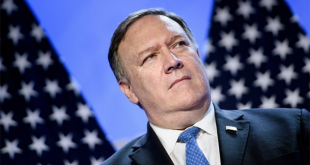 Speaking to KUNA, Al-Jarallah welcomed Pompeo’s visit as part of US-Kuwait Strategic Dialogue between both countries, hoping that it would contribute to promoting strategic dialogue and developing its fields. 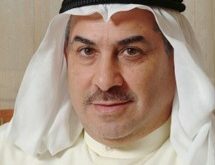 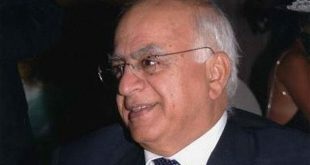 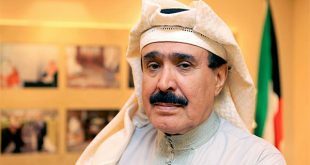 The senior Kuwaiti official said his country looks forward to successful talks to be held by the US secretary of state with Kuwaiti officials about several cooperation areas, mainly economic, investment and energy ones, as well as security and military cooperation, especially joint counter terror efforts. 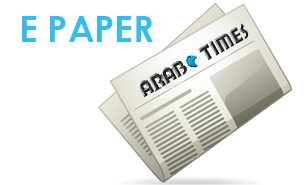 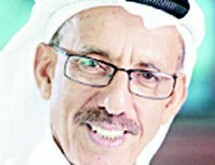 Kuwaiti-US talks will also involve critical regional issues, chiefly Yemen and Syria, Al-Jarallah pointed out. 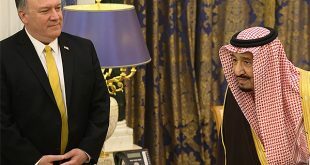 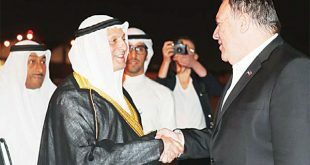 The US Department of State said on Friday Pompeo will travel to Kuwait, Lebanon and Israel from March 19-23, where in Kuwait he will lead the US delegation for the third US-Kuwait Strategic Dialogue. 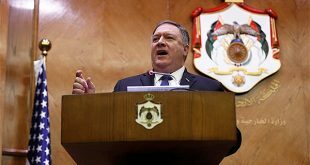 In Beirut, Pompeo will meet with Lebanese leaders to discuss “the political, security, economic, and humanitarian challenges facing Lebanon.” “The Secretary’s visit will underscore US support for the Lebanese people and Lebanon’s legitimate state institutions,” it affirmed. 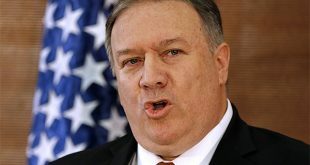 In Jerusalem, Pompeo will meet with Israeli officials “to engage on critical regional issues, including countering the Iranian regime’s malign influence and reaffirming the United States’ unwavering commitment to Israel’s security.” While in Jerusalem, Pompeo will also participate in a meeting with “Israeli, Cypriot, and Greek leaders to discuss key energy and security issues facing the Eastern Mediterranean region,” the statement noted.